Marie Klement is a remarkable Australian medium and psychic artist from South australia. A very humble woman with a radiant personality and an amazing gift sure to knock your socks off! 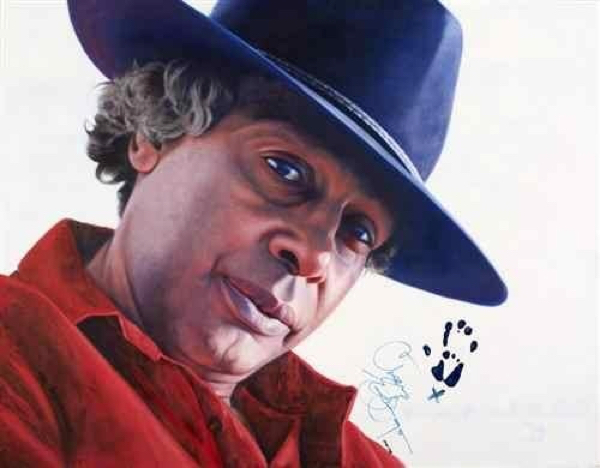 Very well known for her spirit guide artwork, Marie is also a respected artist with submissions into the prestigious Archibald Price of Australian Aboriginal icon Ernie Dingo! I approached Marie for a reading as I had learned of her remarkable spirit art readings where, with incredible accuracy, Marie would connect and draw loved ones such as these example works (right). My reading with Marie Klement was with the intent to connect to my spirit guide and for Marie to draw an initial sketch before completing an image that filled me with joy and wonder! Due to my location of Melbourne, I elected to book a reading by Skype where we had an initial discussion before opening up to allow the energy of the spirit world to step forward. Marie explained to me that as we are talking she will receive impressions and visions relating to my near future and will slightly squint her vision where the presence of the guide is seen overshadowing my physical form. For the reading I was wearing a black shirt and no jewellery or no pendants. Marie could feel a team of guides around me including a Buddhist monk, an aboriginal man seen with curly hair and a red band around his head. But the guide who wants to come forward calls himself Askar! This sent shivers down my spine as this is the exact name revealed to me during my own sitting when I first saw my guide! The initial sketch made by Marie was remarkable and identical to how I see Askar. Marie was also able to very accurately pick up on a number of mediumship Research projects and revealed I have a spirit team working with me who are experts in the field of using cameras to capture phenomena on camera. She said in the very near future I will be involved with a demonstration that validated the world of spirit in a big way that will become very well known! Marie concluded the reading and explained that the artwork would be finalised over the next few days and posted to be where I would first see the incredible image of Askar! The following couple of days Jose Medrado arrived in Australia with initial demonstrations in Canberra and Sydney where at the Sydney event would paint an image as described by Marie Klement! Finally, Askar arrived and I am lost for words at the detail and accuracy of this wonderful spirit who I know so fondly. I shared the incredible image on Facebook and everyone was also blown away by the energy emanating from the image and the detail! It was at this point a friend pointed out to me that he is wearing a pendent that is identical to the one I purchased earlier in the year while visiting Glastonbury, UK! Now I was NOT wearing the pendent at the time of the painting and the likeness is truly incredible. Marie doesn’t normally draw these details but she said Askar insisted a focus on this was important. To the right is a photo of my pendent featuring the seal of King Solomon, Egyptian hieroglyphs, witch hazel oil with silver fragments.